Eyes on the road. Hands on the wheel. Brain on the phone. If you think making hands-free phone calls while driving makes you safer, think again. A new study released Tuesday found that while most people believe hands-free systems are safe to use while driving, they may actually be extremely distracting. 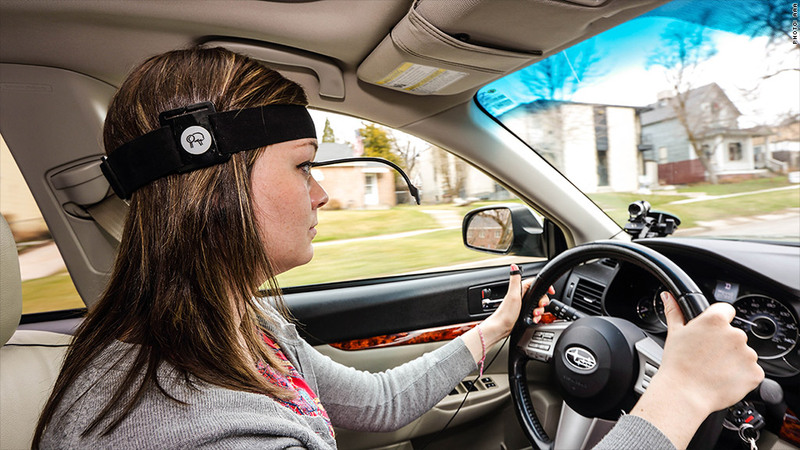 The research by AAA and the University of Utah found that voice-activated technology that many automakers market as a safety feature can cause "potentially unsafe" driver distractions. The group called on developers and manufacturers to make these systems "less complicated, more accurate and generally easier to use." Bob Darbelnet, chief executive officer of AAA, said drivers can overlook stop signs, pedestrians and other cars while using voice technologies "because their minds are not fully focused on the road ahead." "We now understand that current shortcomings in these products, intended as safety features, may unintentionally cause greater levels of cognitive distraction," he added. Hands-free systems now come standard in most new cars, giving drivers the ability to use voice-activated technology to make calls, send text messages, change radio stations and also adjust the climate control. The idea is that drivers will be able to keep their hands on the wheel rather than on their phones or the dashboard. However, the new research suggests that the systems can take their minds off the road. The researchers tested the most common hands-free systems and found that some cars fared better than others. They rated the "mental workload" on a scale, with 1 being the least distracted, such as listening to the radio, and 5 being the most distracted, a level consistent with answering math problems. According to the study, Toyota's (TM) Entune system had the best score for ease of use, while Chevrolet MyLink system had the lowest rating, meaning it was the most difficult and distracting to use. One of the worst scores, a 4, was for Siri, the voice activated technology for Apple's (AAPL) iPhone. In addition to making calls, the researchers found that it was not the easiest when they tested a recent version of Siri to navigate social media, compose text messages and update calendar entries. The researchers used heart-rate monitors and other equipment to measure the reaction time of drivers using hands-free technology. They found that the accuracy of voice-activated systems played a key role in causing distraction, while using voice to compose text messages was more distracting than listening to voice messages.